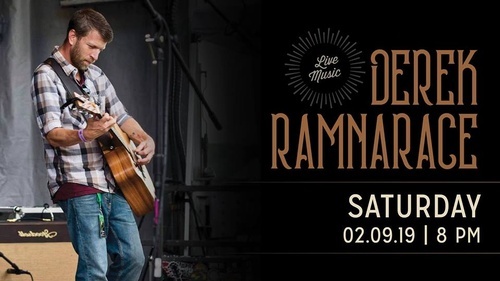 The Vault Bar & Lounge features Derek Ramnarace. Derek leads the "Old Soul Society" and performs Americana, folk, rock, soul, and blues. He strikes out on his own as this singer/songwriter's emotionally raw, honest and heartfelt lyrics are wowing audiences. Come and enjoy a musical evening!